I love the make up of this picture. 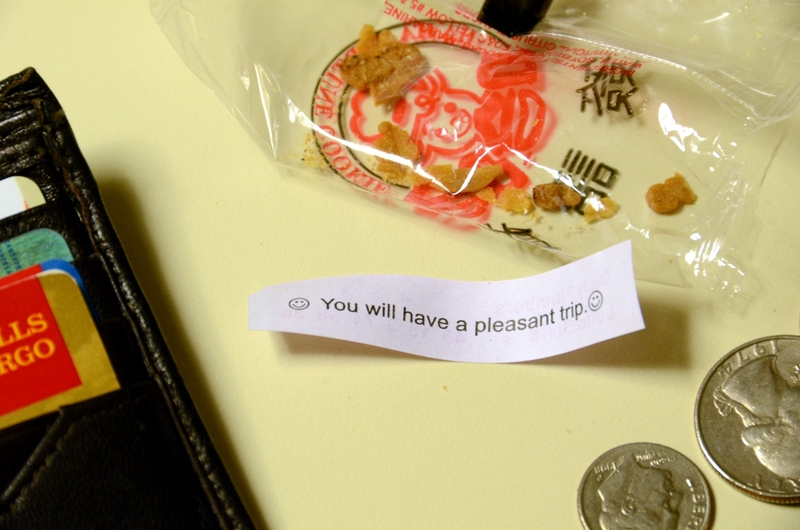 The wallet, the change, the fortune cookie wrapper (complete with crumbs !). What an eye.